We all know how important tools are to search engine optimization professionals. It’s virtually impossible to get any SEO task done without the help of a tool. But with the wealth of choices available in the market, how do you know what tool is best for which SEO task? 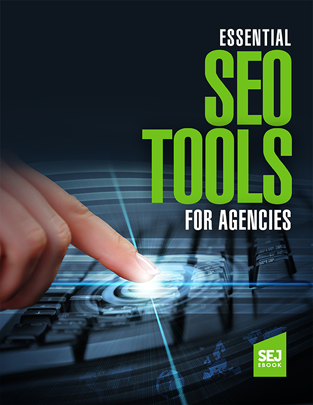 Search Engine Journal’s comprehensive guide, Essential SEO Tools for Agencies, covers the most valuable SEO tools that should be in your agency’s arsenal and why you should use them. Having the right tool for a specific task is crucial in a profession that’s as time-consuming and resource-intensive as SEO. Can you imagine doing SEO manually? No? We can’t either! With the help of some of the industry’s seasoned practitioners, we compiled the best SEO tools that can help more SEO pros get tasks done with efficiency and accuracy – ultimately making you more productive and successful! This guide also includes information about how much each tool costs, key features, and tips for success. EXPERT AUTHORS INCLUDE: Benj Arriola, Clark Boyd, Anna Lea Crowe, Dave Davies, Jenny Halasz, Brian Harnish, Brock Murray, Beau Pedraza, Kevin Rowe, and Alexandra Tachalova.